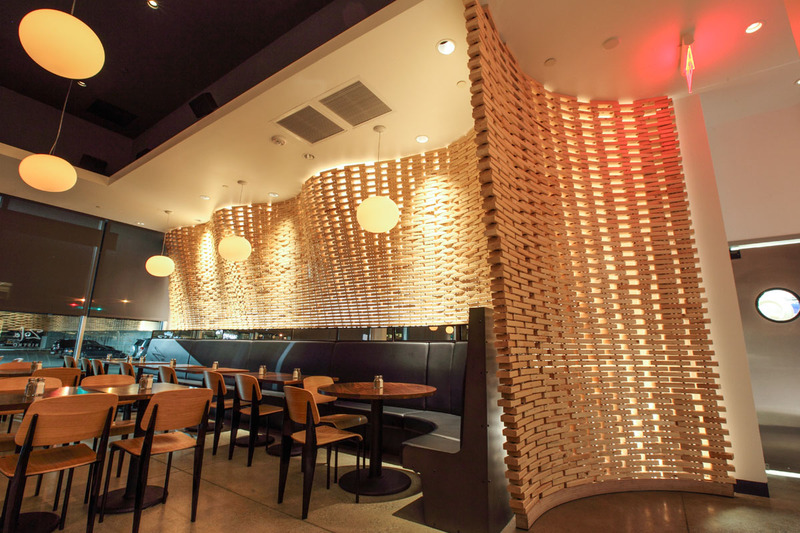 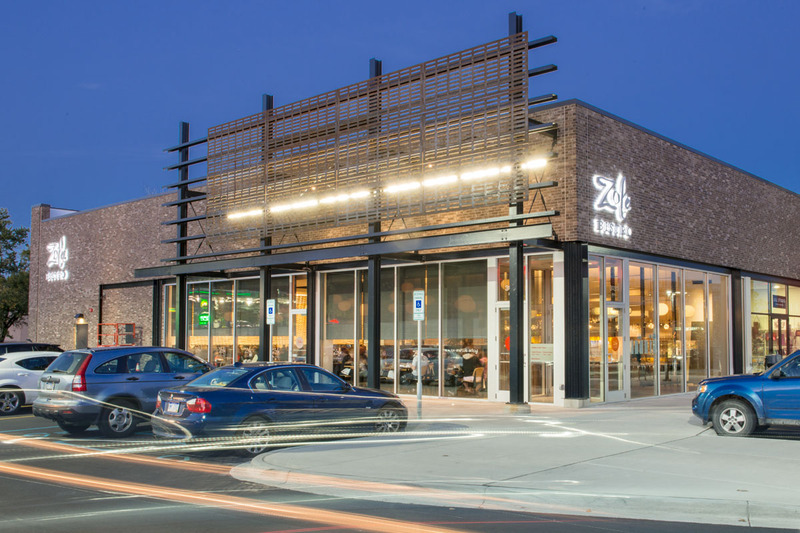 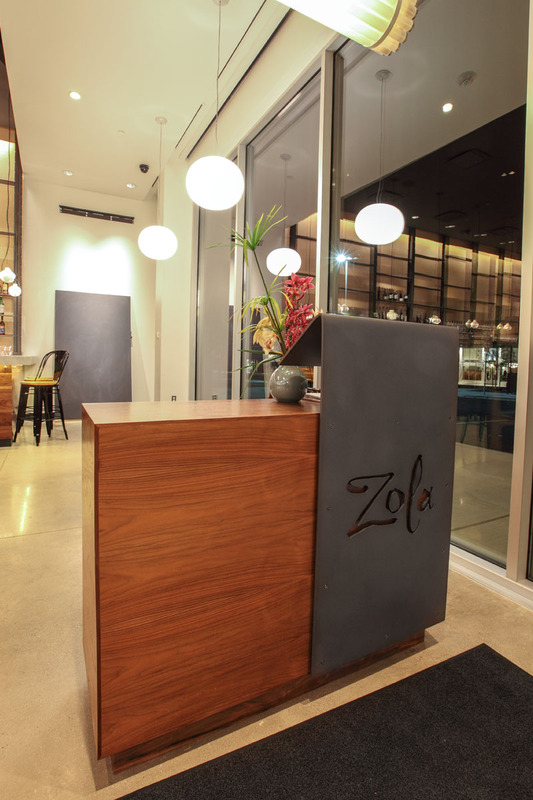 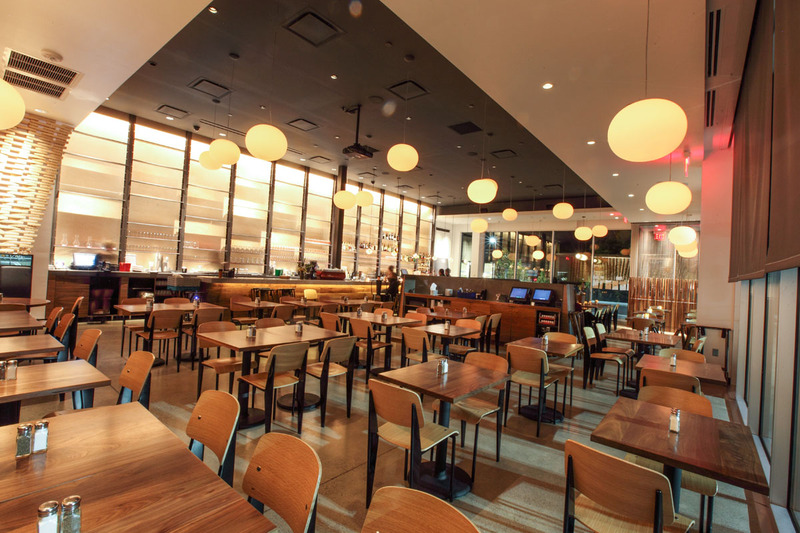 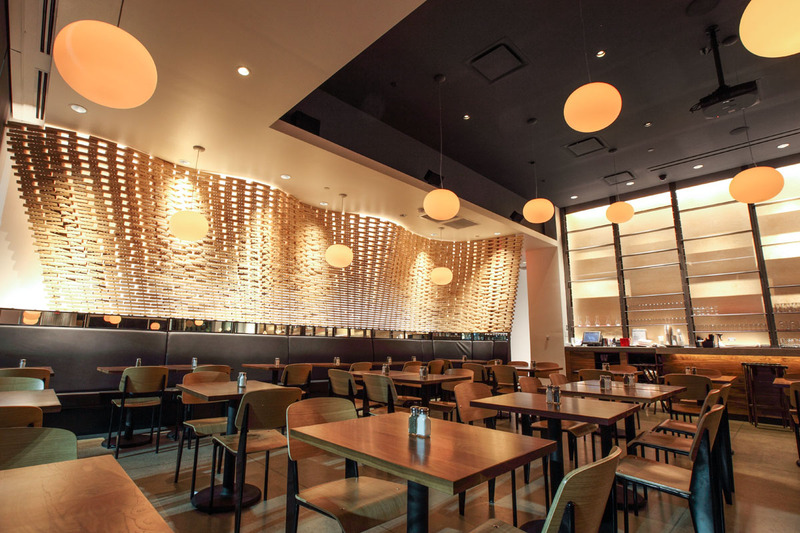 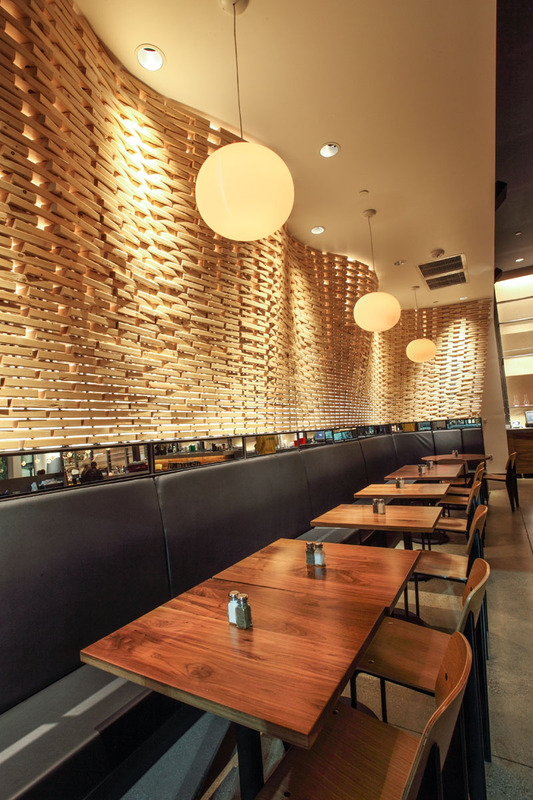 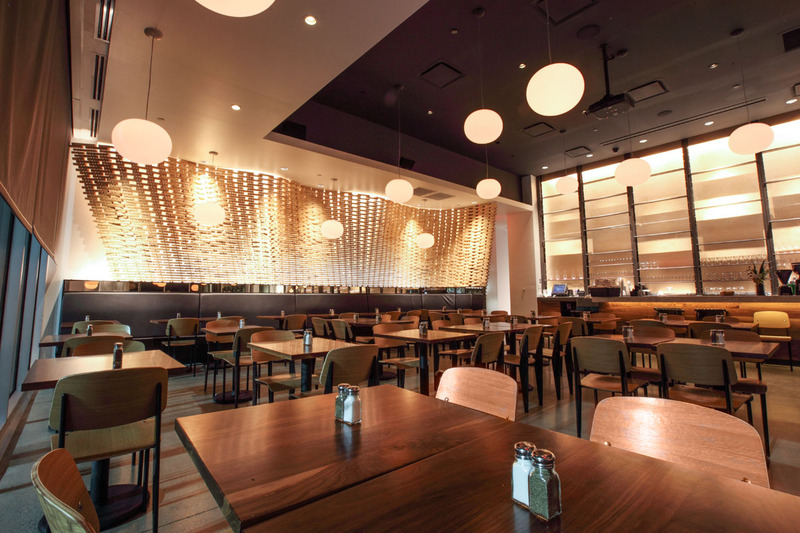 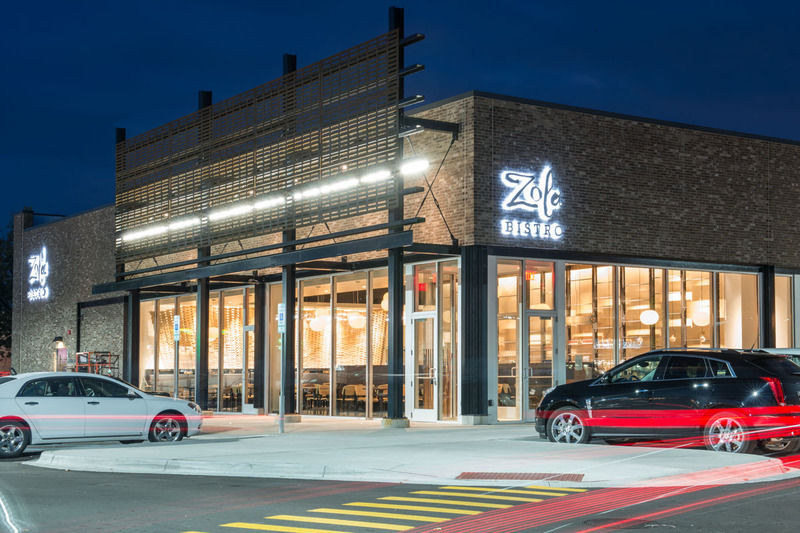 Refined and unique describe this multi-tiered project at Zola Bistro. 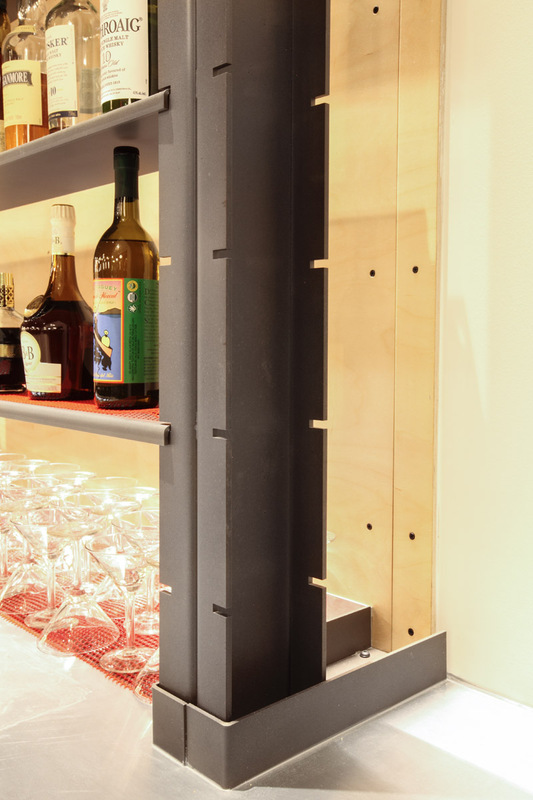 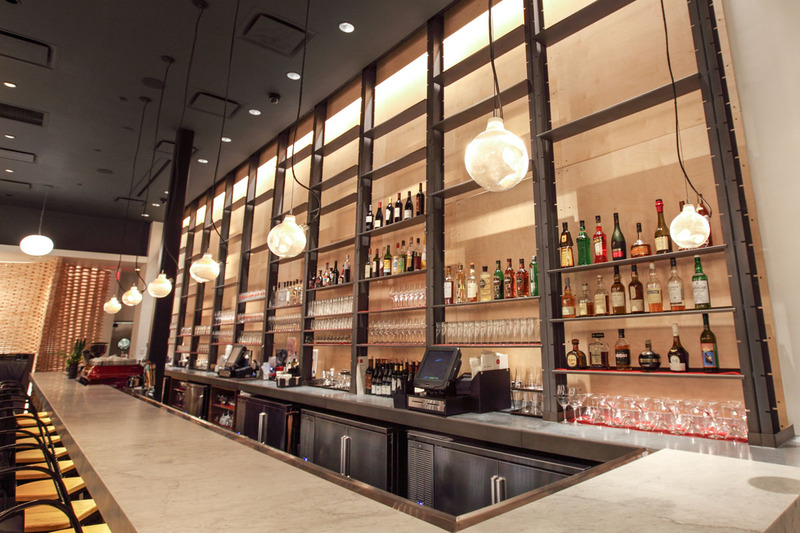 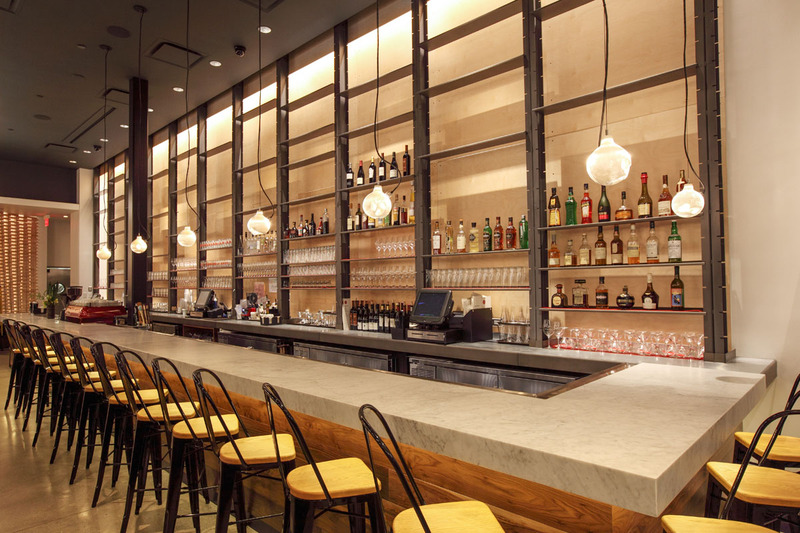 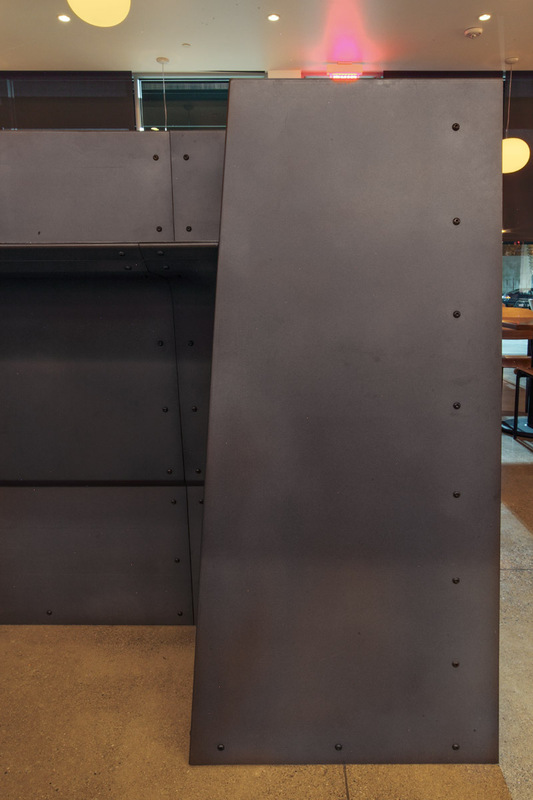 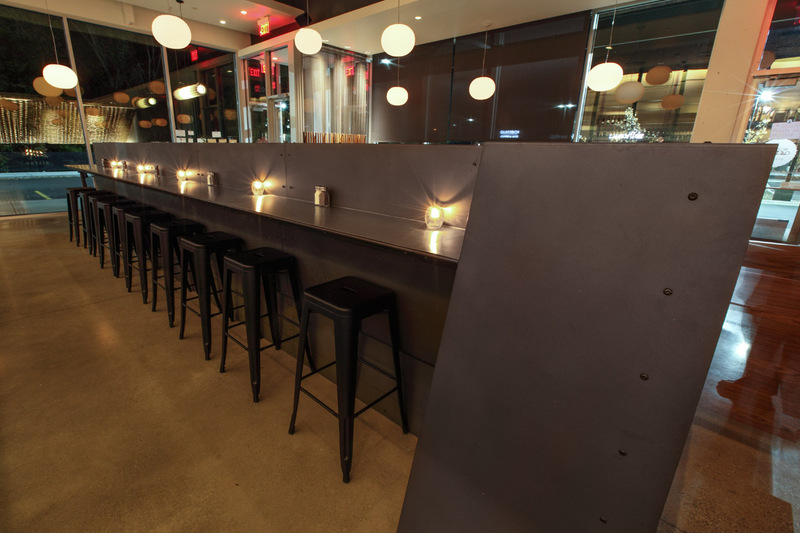 The main back bar contains floor to ceiling custom modular shelving supported by notched I-beam assemblies and zinc top counter. 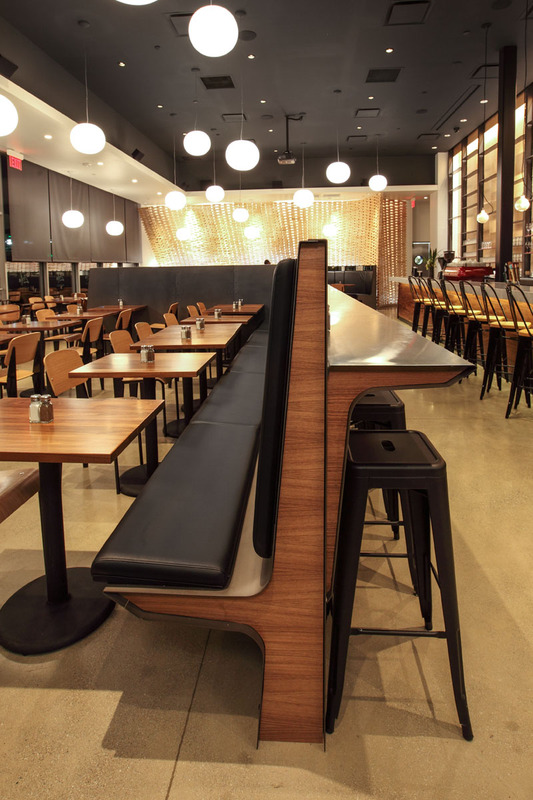 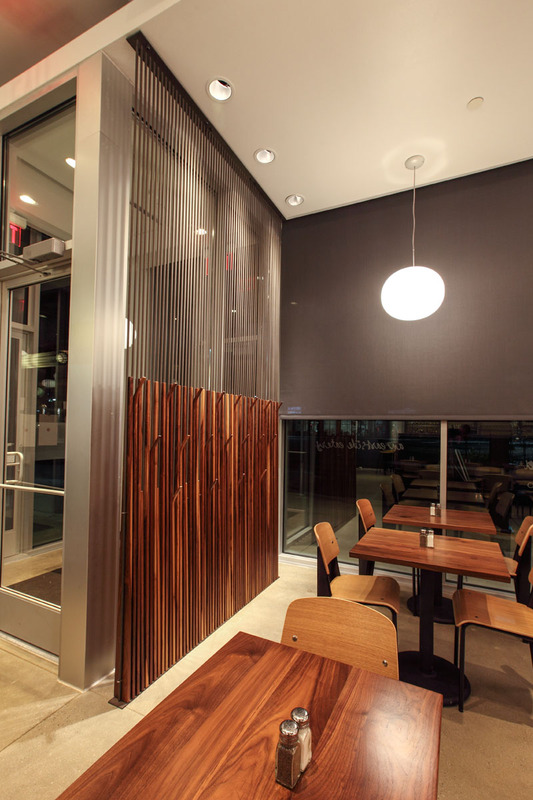 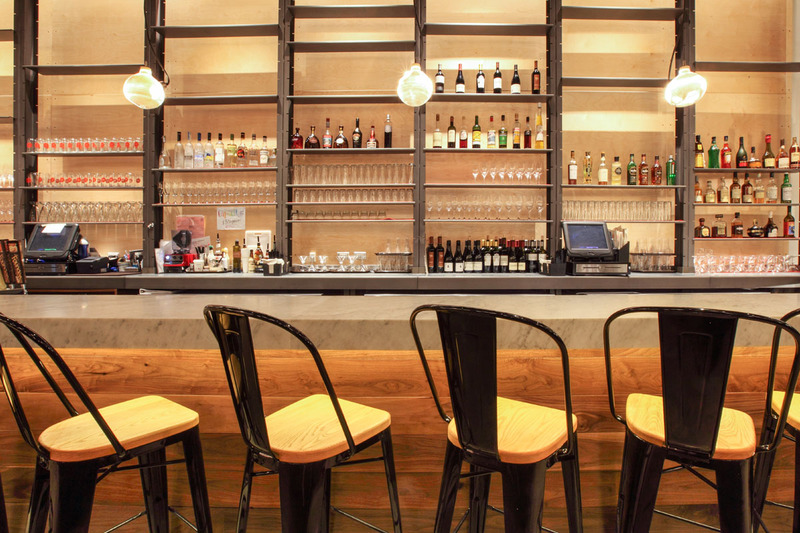 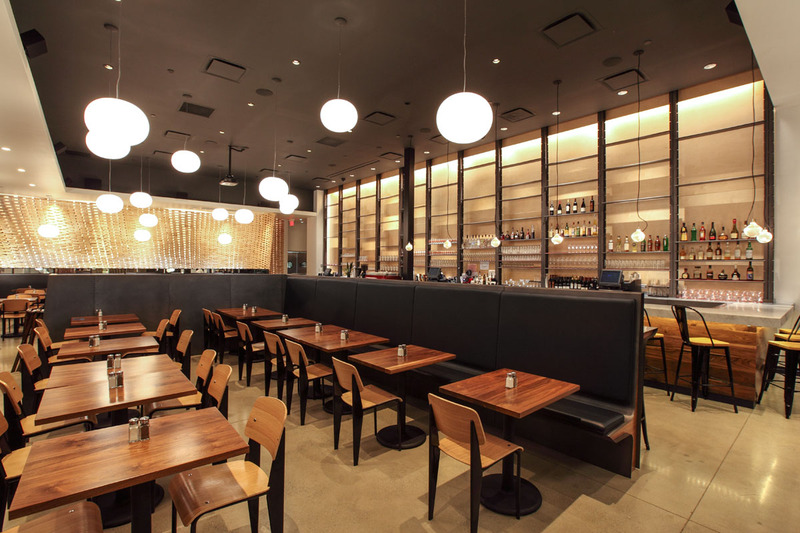 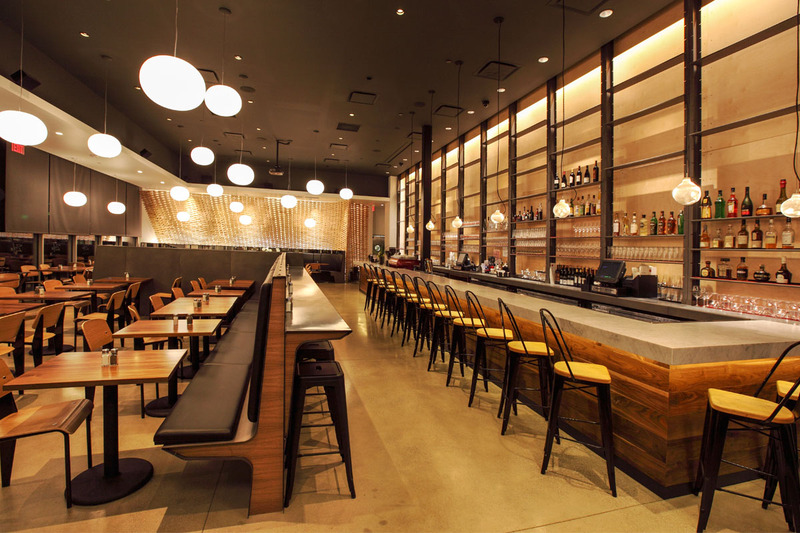 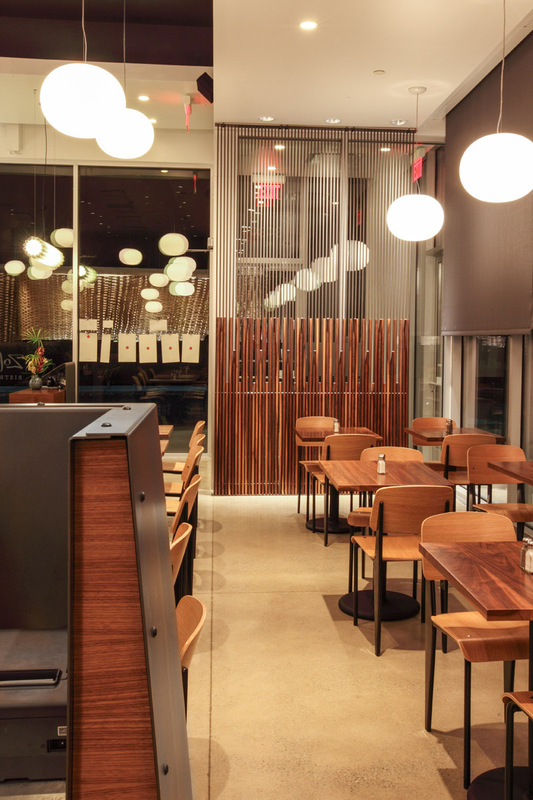 An L-shaped bench with standing zinc bar back and server station encompasses the main portion of the restaurant. 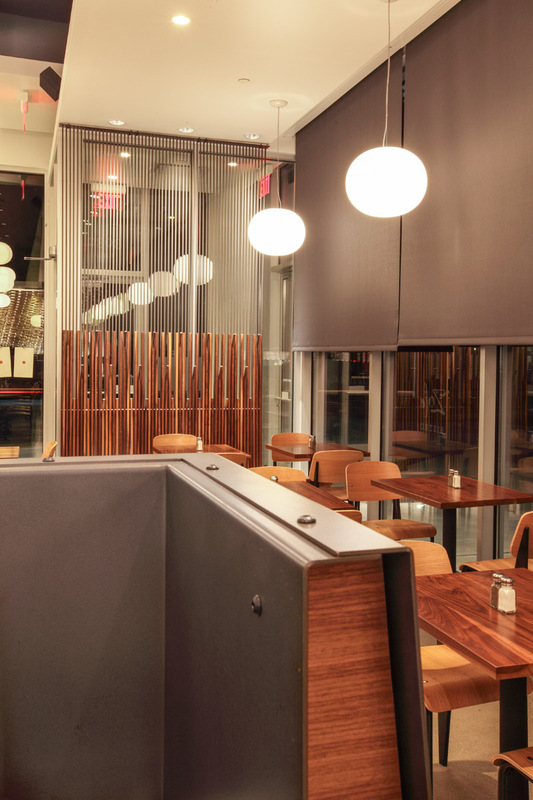 The north-facing wall contains another covered bench assembly with mirrored linear box array and block wall atop. 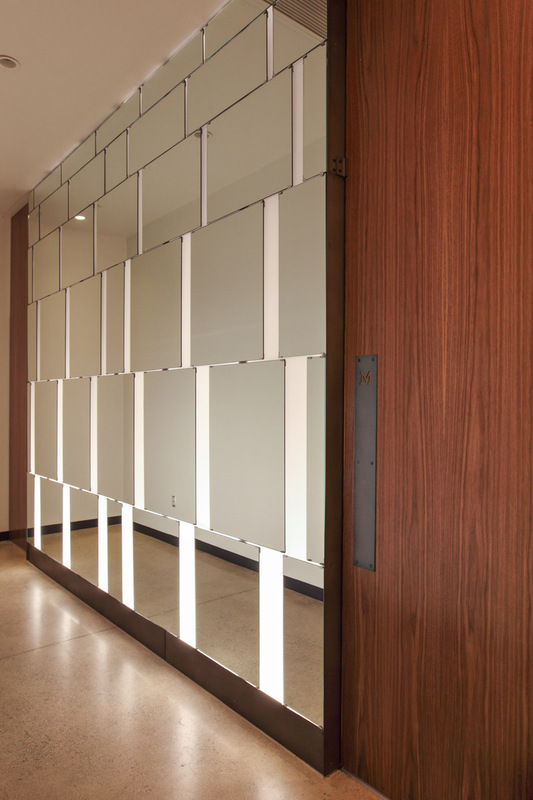 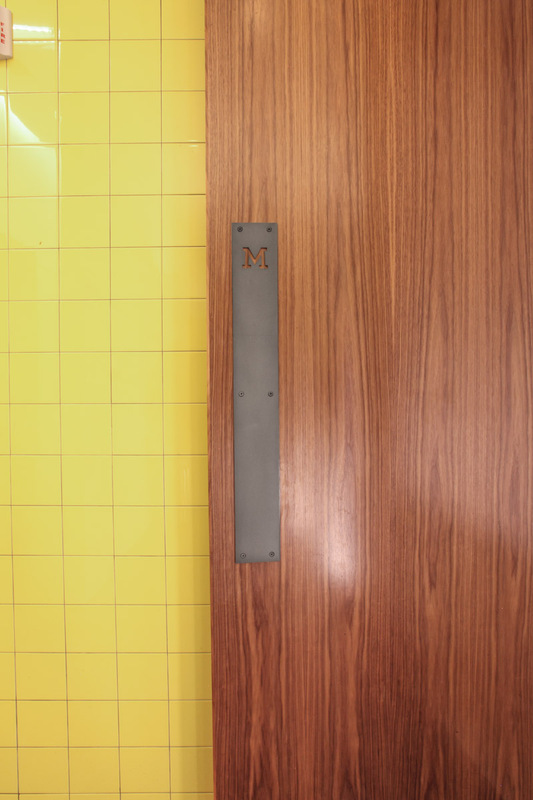 METAL architectural details adorn this bistro, from a maître d’ stand to WC nameplates, all finished in a food safe and semi-transparent powder coat. 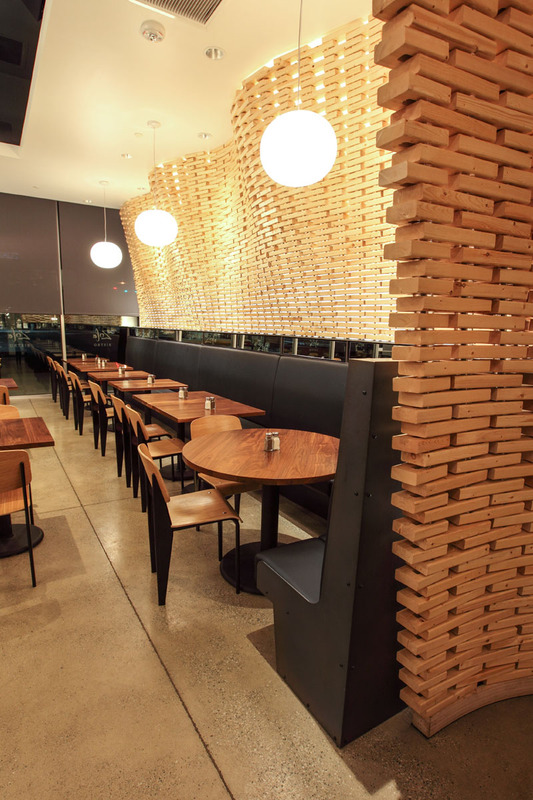 Work was completed in conjunction with PLY Architecture.